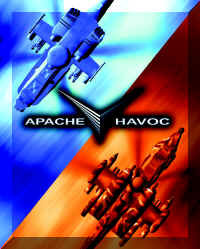 The heart of Apache-Havoc is a fully dynamic war model, there are no scripted events or outcomes, the war will rage around you, the path you take will be unique and dependant on your skill and time in the game. The Dynamic Campaign system has been specifically developed to reflect the war model and immerse the player within the simulation. When you enter a Campaign, you will be transferred to a base and can join one of the Flight Groups attached to the base, landed or actually flying a mission. As you progress through the game you will fly between bases, each has its own set of mission orders that it receives. Campaigns will use a Tour of Duty Time system to add to the challenge. Your progress within a campaign is monitored and should you fail to complete missions, or continually fire upon friendly forces you will be relieved from active duty. 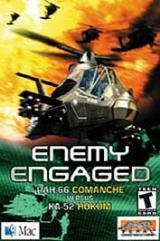 It is important that you select and fly those missions which will have a critical effect on the enemy. Losing valuable helicopters, or failing to protect your ground forces, will severelylimit the capability of your side and thus deny you victory. Fantastic stereo sound effects and speech, Direct3D support.